Altered Esthetics is a small, non-profit art space located in the Northeast Minneapolis Arts District. 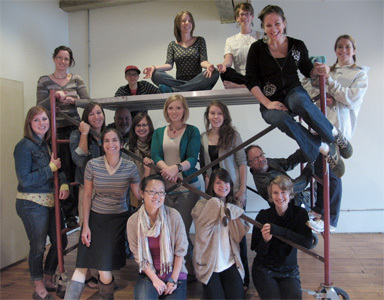 We are a completely volunteer-run organization, operating with the combined efforts of our dedicated Board of Directors, interns, and volunteers--most of whom are artists. Ae is known for being welcoming and accessible to artists at all levels in their careers. We provide many different opportunities, including group exhibitions, solo exhibitions, workshops, and educational opportunities. Our goal is to nurture creativity, and to exhibit a diverse and realistic representation of a community of artists working in all media. This includes art by working professionals, students, MFA graduates, self-taught artists, 'outsider' artists, and anything and everything in between. Everyone is welcome, and everyone gets to have a voice. Our main gallery space features group exhibitions that rotate monthly, and each month there is a new theme. The themes for our Group Exhibitions Schedule are determined over a year in advance, so artists can look ahead to see if their artwork fits one of our exhibition themes. The deadlines for our open calls are a month and a half before the exhibition actually occurs. For example, for our February 2012 exhibition "Crossing Borders" the deadline to submit artwork was December 15th 2011. Once selected for an exhibition, selected artists receive specified dates and instructions for delivering their artwork and for related exhibition events. Ae Open Calls (Link) From there, artists can register on our website and submit work online. We also have a solo exhibitions program designed to help emerging artists build a cohesive body of work, and learn the skills necessary to develop their careers. Each program participant has the opportunity to attend special workshops, receive career guidance, and exhibit their artwork at one of our partner locations. Artists interested in applying should contact soloexhibitions@alteredesthetics.org or watch our website for details, which will be posted at a later date. It takes quite a while to plan and promote an exhibition, and most galleries have a schedule set several months in advance. Do a little research to find out how and when galleries accept submissions or proposals. Follow deadlines, guidelines, and policies – and realize that these things vary from gallery to gallery. It also helps to build ongoing, positive relationships with gallery staff and directors. Spend time at various openings and gallery events. Art is about community, so get used to talking to people about what you do and how you do it. Gauge the atmosphere and audience of various galleries to find out what's most comfortable for you, and start there. Take yourself seriously, and others will, too! Commonly between $100 and $500 dollars, for small to mid-size works. There are many great opportunities in the Twin Cities to go directly to artists’ studios to purchase their work, or local galleries which represent their work. Open studio events in both arts districts of Northeast Minneapolis and Lowertown St. Paul offer the chance to visit local artists' studios to meet and talk to the artists and view their work. Collecting art can be a very personal experience for many people. Keep in mind that when you purchase an art piece, whether it is directly from an artist's studio or from a local gallery, it is not about simply buying an object. It is about investing in an artist's career and supporting a local arts community. Take the time to find out more about the artist, how the work was made, and what inspired the piece. Knowledge of the background information of the artist and the work can be a strong starting point for a supportive and honest relationship between an artist and a collector. Please don’t ever let price, be it large or small, dictate the quality or statement of the art piece. Lowertown First Fridays (http://lowertownfirstfridays.com), which takes place on the first Friday of each month, is a self guided tour of local artists' studios and galleries throughout Lowertown. This is the best time to check out art openings in Lowertown. 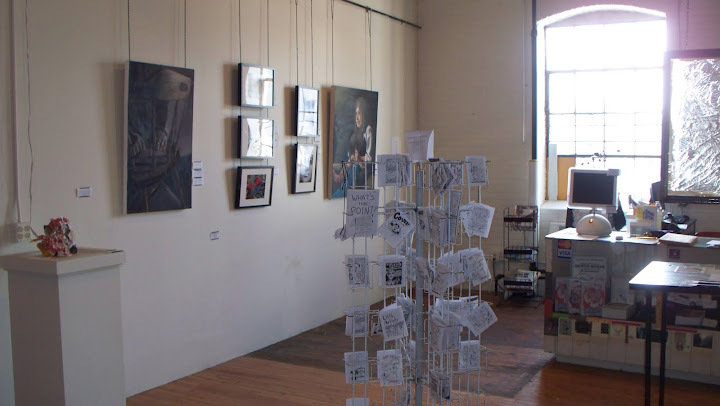 As part of LFF, Echo Arts in the Northwestern Building, Black Dog Cafe, and AZ Gallery in the Northern Warehouse both have receptions each month. Air Sweet Air also just opened in Lowertown, located right across from the Northwestern Building which houses Echo Arts. Similar to Lowertown St. Paul, the Northeast Minneapolis Arts District has First Thursdays in the Arts District. Artists in several different buildings throughout the district make themselves available to answer questions and show visitors their workspace. Ae’s home, the Q.arma Building is also home to many artists’ studios, with open hours the first Friday of each month...so our exhibits aren’t the only reason to visit--stay a while and meet the neighbors! It is also worth checking out fund raisers for arts or civic-minded organizations, where many fine works can be purchased in silent auctions at a fraction of their retail value. It is difficult to choose just a few, since we show such a variety of styles! What sets Ae apart from other galleries? We are known for being friendly, unpretentious, and--best of all--affordable! We never charge artists to submit work to our group exhibitions; only artists who are accepted into a show are asked to pay an exhibition fee. For some shows, even the exhibition fee is waived. May 2011...Matthew Albers / Art?